Precise control for whole-cell or single-cell superfusion. 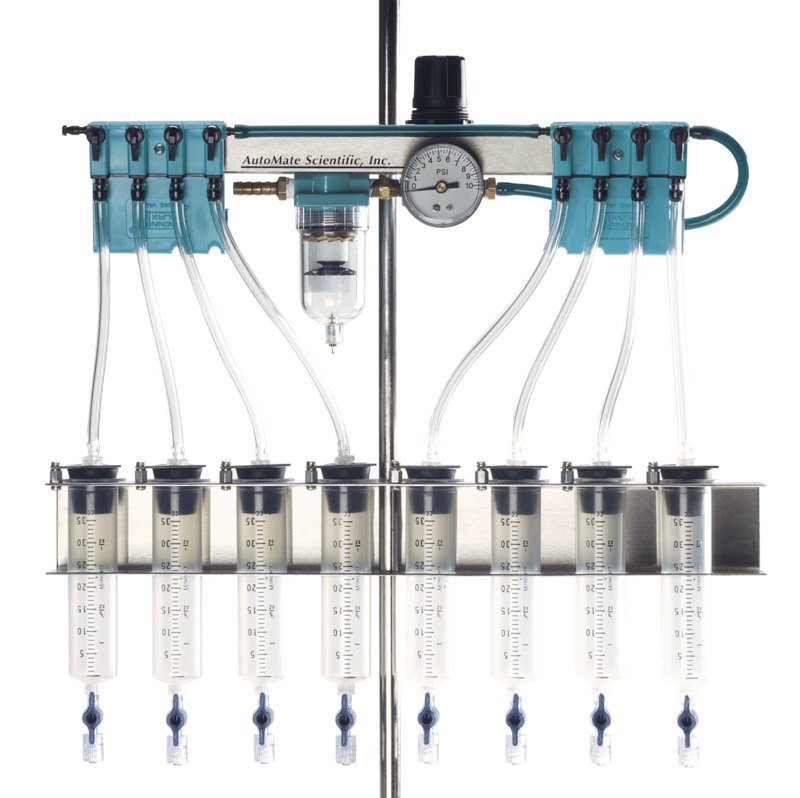 Easy to add to any new or existing gravity perfusion system from AutoMate Scientific, any third-party manufacturer, or even homemade rigs. Connect to house air or compressor (30 to 100 psi). Does not introduce bubbles into solution; helps overcome flow problems due to bubbles. Available in four-, eight- or sixteen-channel configurations. 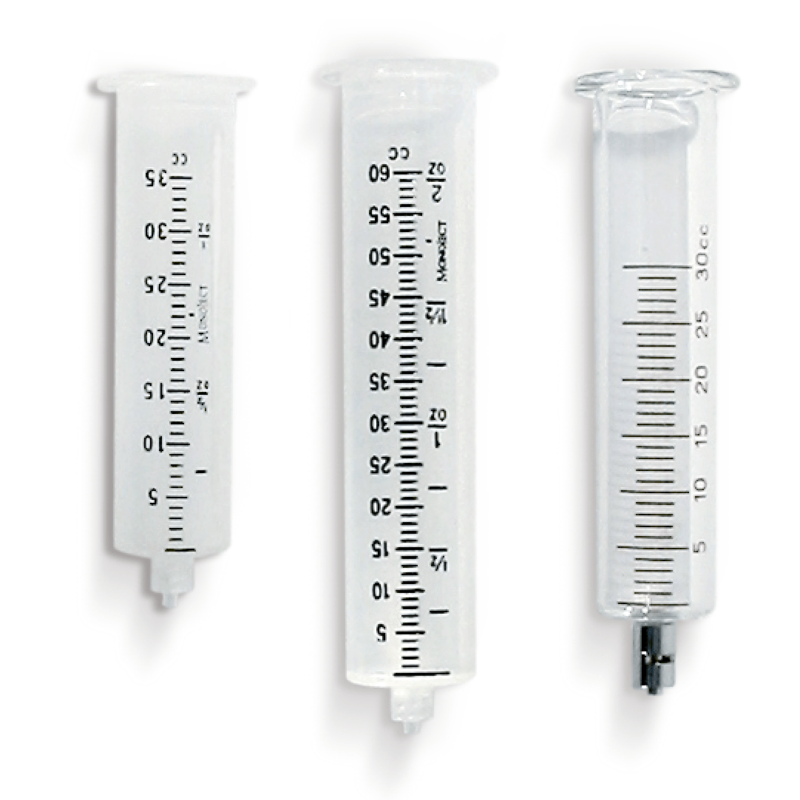 Syringe reservoirs may be placed in a water bath for temperature control. Elegant design allows individual control of each air line. 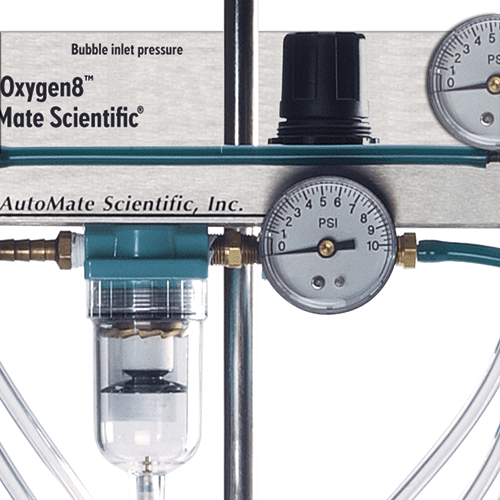 For a pressurized perfusion system WITH bubbles, please see our Oxygen8™ system. Liquid Switching in 3-4 msec. Available with 5, 10, 35, or 60ml plastic syringe reservoirs or 35ml glass syringes and PTFE inert tubing as our “Volatiles Pressure Upgrade” for researchers with volatile agents in solution.